From the first time he came into our lives we knew we were in for something special - a shy droopy-eyed kid with a swivel and swagger that could make women swoon who from the smallest of Tennessee towns to the biggest stage on the planet would change the meaning of music for generations of fans around the world. 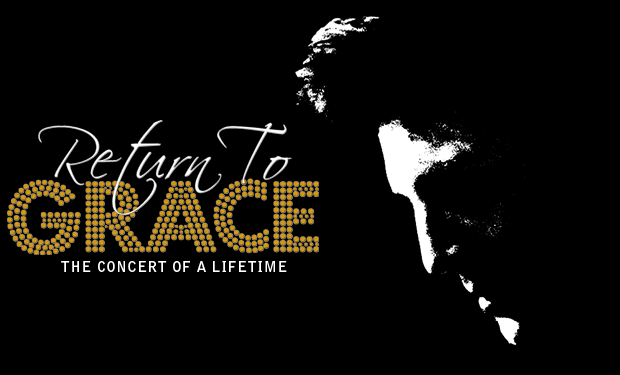 A glorious, heartfelt tribute to a music icon, RETURN TO GRACE traces the greatest musical moments of a generation with song favourites that include "Heartbreak Hotel", "All Shook Up", "Love Me Tender", and more! From the early years, through to the amazing '68 Comeback Special, to the historical Aloha from Hawaii concert, experience RETURN TO GRACE to re-live the music that changed rock and roll forever!